This is a fun and simple way to take the Mini Countryman for a test drive. When the first-generation Countryman made its debut in 2011, it took us a while to get used to the idea of a big Mini -- but once we did, we decided the Countryman just wasn't big enough. 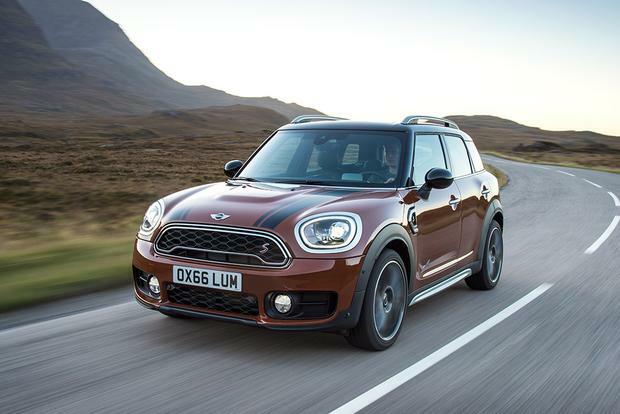 Though we loved the way it drove, the Countryman simply didn't offer enough cargo space to justify the "U" in this crossover SUV. The 2017 Mini Countryman is all new and it's bigger than ever -- but has MINI addressed our concerns? The 2017 Countryman is built on the same modular platform as other recently-redesigned MINI models, but it's the biggest Mini by far: Compared to the old Countryman, the new car is about 8 inches longer and nearly an inch and a half wider. That puts it in the same size class as the new crop of compact SUVs (Honda CR-V, Mazda CX-3, Jeep Renegade, etc.) 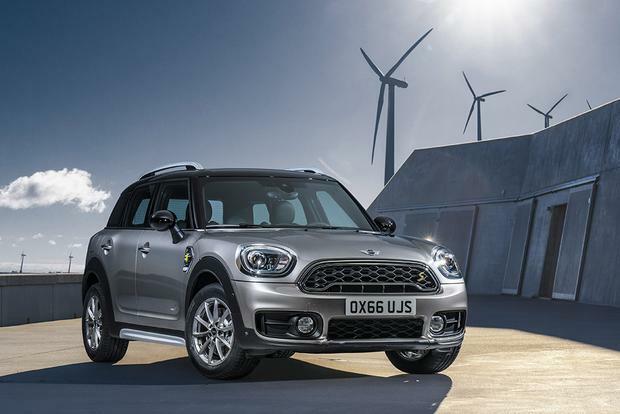 that have popped up since the first-generation Countryman was introduced. 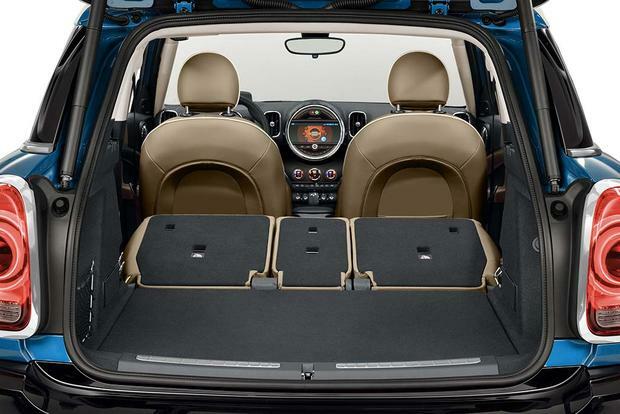 A good chunk of the Countryman's extra length was added between the wheels, which translates to more space in the back seat. Big doors make entry and exit easy, and we were happy to see how much legroom there is, even with the front seats adjusted for taller drivers. 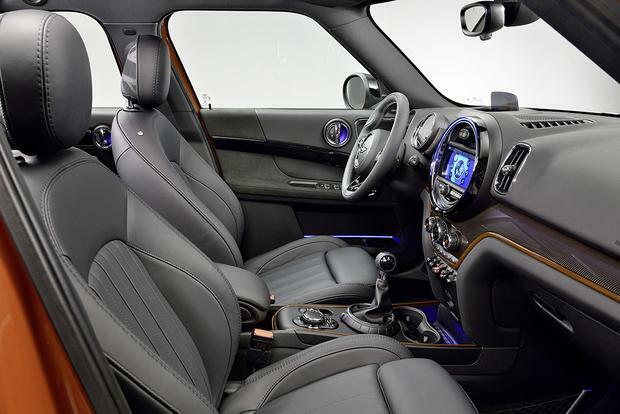 The Countryman gets a dual-pane panoramic sunroof as standard equipment, and that makes a big difference in a small SUV; it lets in lots of natural light, which makes the back seat feel more airy and open. Too bad the seat backs are so hard and thinly padded. They might soften up after some time -- the cars we drove were brand spankin' new -- but we'd gladly trade a little room for a cushier cushion. 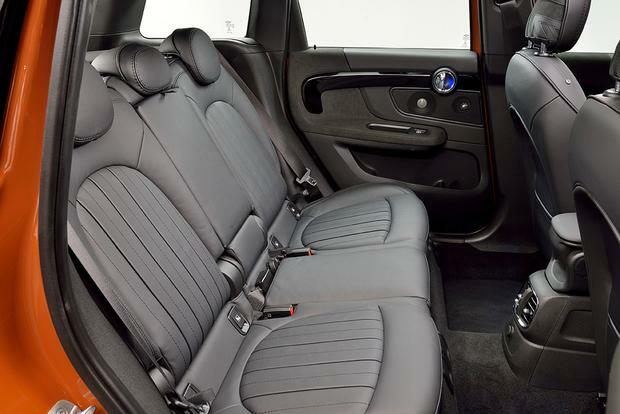 The front seats are more comfortable, and we love what Mini has done to the Countryman's interior (which is the same thing they've done to other Mini models' interiors as they've been updated over the last three years). The big pie-plate center gauge is still there, but it's no longer a speedometer; it's now a full-color infotainment screen ringed by a line of color LEDs which can serve several functions (our favorite: Giant rev counter, complete with redline). The gauges themselves occupy a pod perched on the steering column; the pod moves when the column is adjusted, so all sizes of driver have a clear view. Our test cars had a full-color head-up display projected on a tiny screen that rises out of the dashboard. 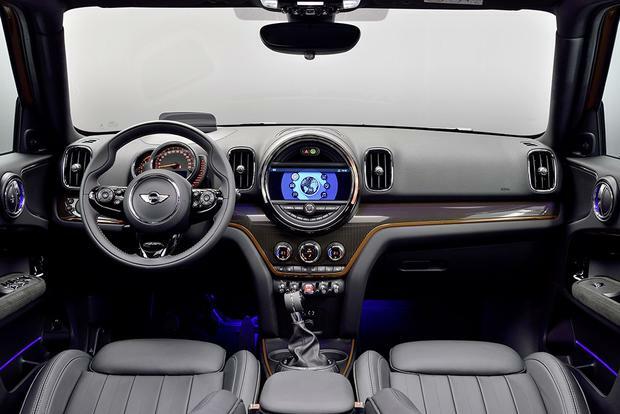 The infotainment system still has a dial controller between the seats, but Mini has revised the interface and added touch-screen functionality. The climate controls are fairly simple, and other functions (including the engine starter) are controlled by toggle switches on the center stack, another detail we love. The 2.0-liter engine in the Cooper S is a better choice. It's not shockingly quick, as are the smaller and lighter Cooper S versions of some smaller Mini models, but it at least has the get-up-and-go we expect from a Mini. That means paying $3,000 more than you would for the base Cooper, but we think it's worth it. At least there's not much of a fuel economy penalty: EPA estimates are similar for both engines (25-28 miles per gallon for the three cylinder and 24-27 for the four cylinder; we saw high 20s with both engines). 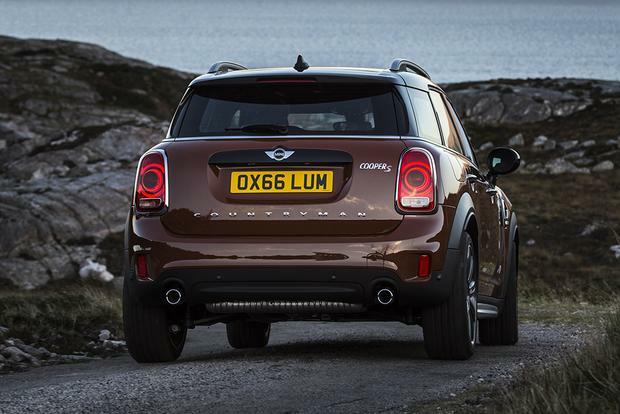 The one drawback to the Cooper S is that you can't get a manual transmission with front-wheel-drive. (The 3-cylinder Cooper offers a manual transmission in both configurations.) Normally we'd file this away with a "Who cares? ", but Mini sells a higher percentage of manual transmissions than most brands, so it matters. In terms of handling, you won't hear us complain: Despite its extra bulk, the new Countryman delivers exactly what we expect from a Mini. The steering is hyper-responsive, and no matter how hard you tug the wheel, the car refuses to lose its composure. It's as if body lean simply doesn't exist in Mini's universe. 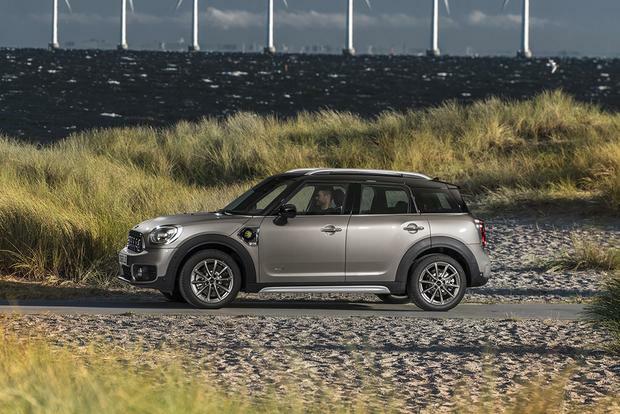 The Countryman's ride is significantly firmer than competing SUVs, but it's not uncomfortable -- at least, not unless you crash straight through a pothole you didn't see (not that we'd know this from experience) -- and noise levels are reasonable. The ALL4 system provides good traction on slick roads, but this is not an off-road-ready crossover like the Jeep Renegade. 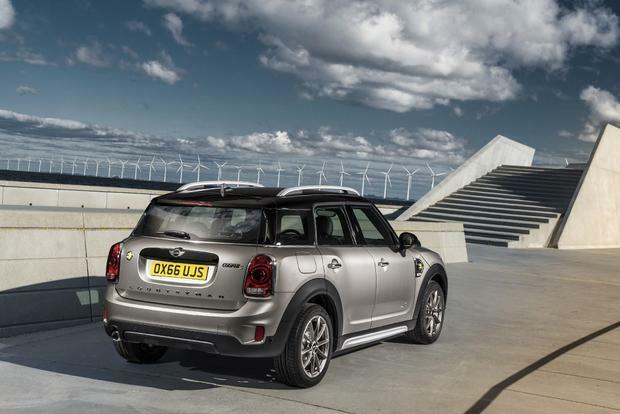 The Countryman comes with a lot of desirable standard equipment, including the aforementioned dual-pane sunroof, automatic climate control and faux-leather upholstery. But it also offers a lot of options, even things for which you might not expect to pay extra. For example, nearly every single paint color except gray costs $500 extra -- the exceptions are blue ($1,000) and red (part of a $2,000 appearance package). It doesn't take much to get a base-model Cooper above $35,000 and a Cooper S above $40,000. We're all for Mini's styling and uniqueness, but that's a lot of money to pay for a subcompact SUV. To gain access to this information, Autotrader attended an event sponsored by the vehicle's manufacturer.